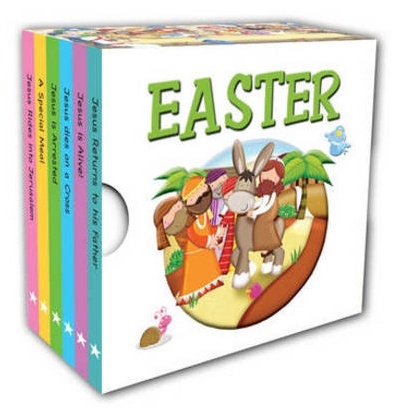 This little library of Easter pocket-sized board books contains 6 little books telling the Easter story. Each story is spread over 8-pages with charming illustrations by Marie Allen. Designed to fit in a buggy, a baby bag, or wherever you and your children are travelling (to the park, grandparents, swimming pool, beach and so on), these delightful stories split over 6 will entertain and educate your children. Easter by Karen Williamson was published by Lion Hudson in January 2013 and is our 9648th best seller. The ISBN for Easter is 9781859859421.